The Master Shingle Applicator program provides education in every aspect of shingle installation. In addition, being certified by CertainTeed provides additional roofing warranties when you opt for a preferred CertainTeed contractor. The Colorado Roofing Association is dedicated to advising and educating homeowners and contractors about maintaining and replacing of their roof systems. Dryvit Outsulation is a high-performance cladding system for commercial and residential construction, which utilizes exterior continuous insulation (CI). It is available in a number of system configurations to meet any climate or building condition, and numerous durable textures and colors to complete any architect’s vision. Ecomark Solar is a local, Colorado-based solar panel company whose passion is helping the local community become energy independent. They envision a future where all Coloradans directly own the energy they need to live in a green manner. GAF has become North America’s biggest manufacturer of residential and commercial roofing materials, and are committed to supporting distributors and roofing contractors, as well as helping property owners make the best roofing choices. K-Guard Gutter Guards are the longest-lasting, most effective gutter guards in the U.S. with the highest level of customer satisfaction of any gutter guard manufacturer. Malarkey Roofing Products is a family-owned company who prides themselves on the manufacturing of high-quality and long-lasting products. We are proud to be an accredited business with the Better Business Bureau, with an A+ rating. For over 100 years, the BBB has helped people make smarter purchasing decisions and is evolving to meet fast-changing marketplace needs. 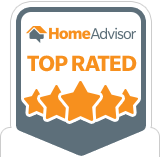 Homeowners who have worked with Sorensen Roofing & Exteriors have given us this top rating through Home Advisor, and would highly recommend our services to others! 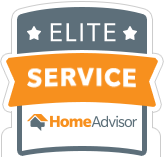 When a company’s rating indicates they have an incredibly high level of customer satisfaction, they can earn the Elite Service Professional award through Home Advisor. 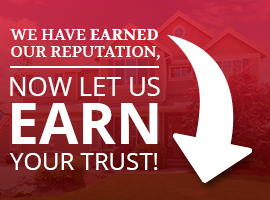 You can be sure that you will have an incredible customer service experience working with Sorensen Roofing & Exteriors, and our reviews and awards are proof of that! For two years in a row now, the local community has voted for us to be recognized as one of the best roofing companies in Greeley! Because of the regular support from the community, and the love of our products and customer service, we have had the honor of being inducted into “The Best of Greeley” Business Hall of Fame. Thank you for your continued support!